let man and beast be covered with sackcloth, and let them call out mightily to God. Let everyone turn from his evil way and from the violence that is in his hands. When Jonah arrives in Ninevah, everyone repents from greatest to least. Then the king finds out and repents (which is shocking in itself - try and imagine a modern politician saying sorry, let alone putting on sackcloth and sitting in ashes!) and sends out a message to make sure everyone is repenting. This is comprehensive repentance! It is not down to the great job that Jonah did - he had only just started - first day of a 3 day journey v3-4. The only recorded message he gave was very brief - emphasising it wasn’t the quality of his message v4. This is God’s power at work. If it was down to us there would be no chance - look at the church - we are pathetic by the world’s standards. We can be encouraged that the small job that an imperfect, reluctant racist did, was used mightily by God to draw hundreds of thousands of people to himself. 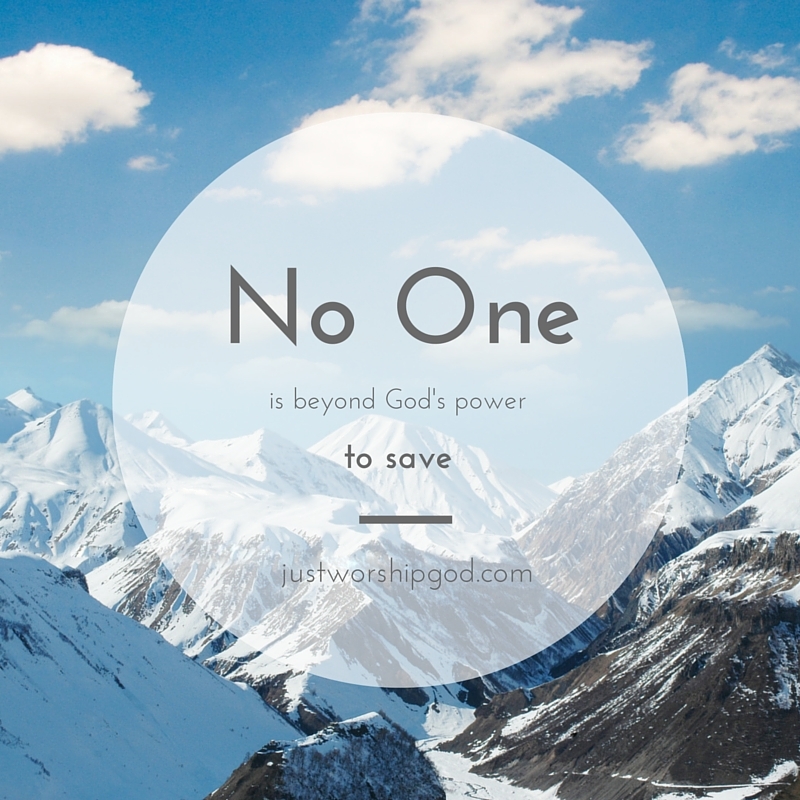 This also tells us that no one is beyond God’s power to save. If you are a Christian thinking of a friend or family member that wants nothing to do with God, this encourages us that they have not gone beyond God’s reach. If you are thinking you’ve gone too far yourself, that you’re disqualified from this because of things you’ve said or done, then hear the message from God here that no one has gone too far, no one is disqualified. This message is for everyone, the evil, the disobedient and the self righteous religious person.